Leading retail brand PUMA has recently introduced IGNITE, a performance running shoe featuring innovative foam technology that maximizes energy return to keep you running longer. Worn by The World's Fastest Man Usain Bolt, IGNITE is PUMA's most responsive running shoe, optimizing comfort and durability. Designed for a wide range of runners, if you put the energy in then PUMA IGNITE gives it back. Along with the launch of the shoe, PUMA also unveiled their new running ambassador -the avid runner and supermodel Lisa Haydon. Powering every stride is IGNITE foam, proprietary foam that provides responsive cushioning, optimal rebound and comfort. Strategically placed in the heel of the shoe is ForEverFoam-a compound used heavily in the automotive industry. This material creates long-lasting durability and is entirely new to the market. The direct-inject tooling is a first of its kind for PUMA creating its most responsive foam. PUMA Running Expert & Sports Scientist Shayamal Vallabhjee, said, "IGNITE is constructed to deliver superior energy return and durability while providing comfort. The advanced technology used for the foam can make a real difference and IGNITE will be a game changer for runners across India." Speaking about her association with PUMA, Lisa Haydon, said, " It feels fantastic to work with a brand that I have always loved. My running regime is pretty intense and I need a shoe that keeps my energy going and having tried IGNITE I have felt it delivers exactly that. It also looks great. " Speaking about the launch, Abhishek Ganguly, MD, PUMA India, said, "PUMA as a brand is always looking at new and innovative ways to enhance the running experience. The breakthrough foam technology used for the shoe has been developed after much research and testing. IGNITE has been created keeping in mind the necessity for athletes to save energy in order to optimize running performance." As part of the IGNITE launch, on the 28th February, PUMA in association with Runners For Life hosted the 'Ignite Mumbai' run where 14 running experts led groups of runners and covered the 145 kms along the periphery of Mumbai. Over 350 runners from the city joined the run, which was led by 14 experts including sports scientist Shayamal Vallabhjee and endurance runner Girish Mallaya among others. 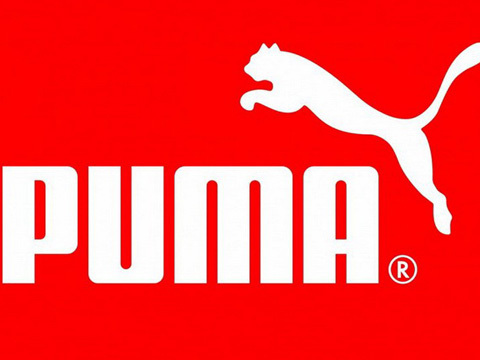 PUMA also announced that they will be mentoring 14 budding runners with training sessions, running gear and medical facilities.